“Natural” and “organic” have currently become standard terms that you can find on different products, such as mascaras and moisturizers. As of the moment, these types of products have attracted the attention of many users because of their appealing effects. Rather than having to go through some harmful effects caused by using commercial cosmetics, these natural cosmetics are safe and effective to use. The natural ingredients being used in these cosmetics are often derived, either in part or in whole, from natural sources without the use of any synthetic compounds. On the other hand, organic options are also ones that only used plant-sourced ingredients, which have been cultivated without using any synthetic procedure and ingredients. 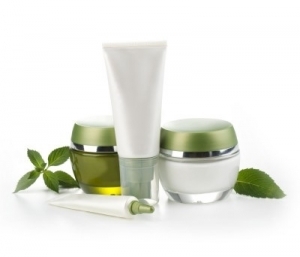 Natural cosmetics are reflected on the quality of a product in making your skin to appear healthier, or act younger. It can also do a lot in healing your dry skin or acne, as well as in controlling rosacea, and other skin-care issues. Also, these natural cosmetics are also characterized with the use of natural gemstones in the creation and formulation of their products. They offer better benefits in terms of anti-aging, and a more attractive glow to the skin. There are a lot of benefits that you can get when using natural cosmetics. Since they are natural, it means that the ingredients being used are not synthetically or chemically made. They also contain natural vitamins and minerals, which can be easily absorbed by your skin. They are also safe to use, as compared to other types of synthetic beauty products. These natural cosmetics can also work with all skin types. Whether you are sensitive, oily, or have natural skin, you can always find that naturally perfect match, which is appropriate for your skin type. There is also a wide array of options that you can choose from. Even though they may still be considered as new in the industry, they have already been able to prove their worth and have also offered different selections of beauty products which are made available to make up fanatics. Another obvious benefit of using natural cosmetics is that they can easily fit your budget. They are not that expensive as expected by some. In fact, they are even more affordable as compared to synthetic options. Most of the time, by shopping at the right store, you can even get discounted prices. All you need to do is to be resourceful in searching for the best deals. These natural cosmetics are also not tested on animals. This is to make sure that they are completely safe and effective. They are tested in laboratories with the use of high-quality equipment.